Takako Tokiwa at the premiere of "Cut" during the 68th Venice Film Festival in Italy. Takako Tokiwa at the Japan-China Film Festival Week Opening Ceremony in Japan. 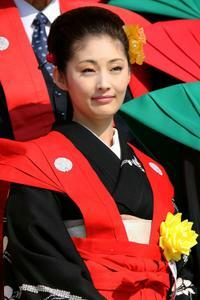 Takako Tokiwa at the Bean-scattering ceremony.